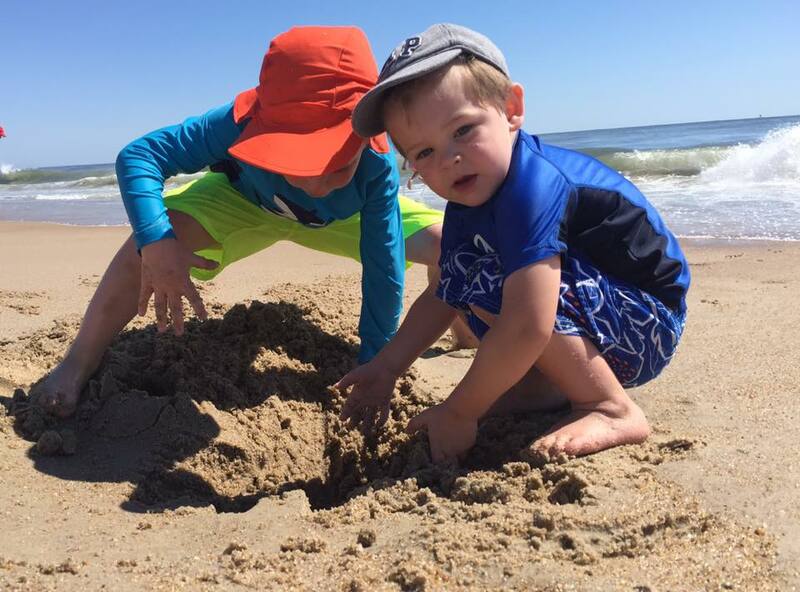 While we were on a short family vacation in Bethany, we hit up a few beaches that we wouldn’t normally go to because of their location. More specifically, south of Rehoboth. 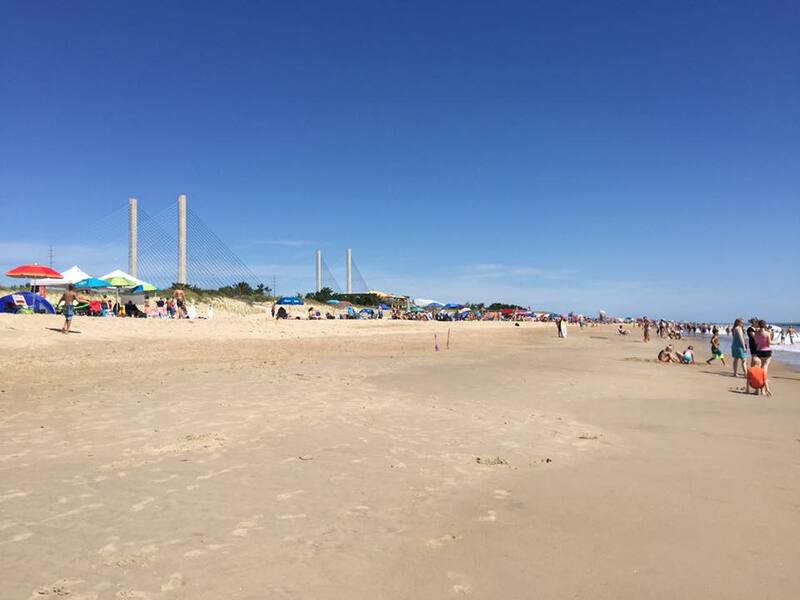 Delaware Seashore State Park is located at the inlet bridge and because it’s a state park there is an entrance fee. $5 for in state and $10 for out of state (unless you have a state parks pass) will get you in to the parking lot, however you need to time your arrival right to get a spot because the lots can fill up during prime beach times. There’s a public bath house and the new Big Chill Beach Club recently opened so you can pop over for some lunch with a great view! We hung out on the south side of the inlet and the beach area is between the inlet itself and the drive on beach zone. While we were there, it was a bit too crowded for our taste. Not quite Rehoboth level crowded, but I don’t like when there are so many people playing in the water in the same area as our kids, that I could easily lose sight of them in the mix. Ocean beaches have pretty rough waves at times and I am pretty paranoid, so we end up standing right next to them while the play the whole time. An ideal beach day for us would be if the adults could set up chairs right next to the water and the boys could play directly in front of us but we couldn’t get a spot close to the water. We arrived around 10:30am, which is a bit later than we would normally go. We drove by another day around 8am and the parking lot was nearly empty, so even in the busy season you can miss the crowds if you head over earlier than everyone else.